5066 SW 123rd Ter #. 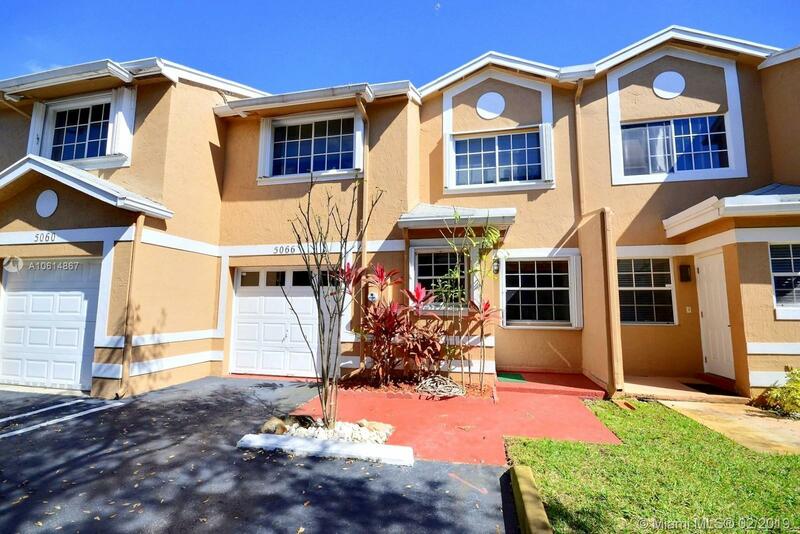 AWESOME 3 BED TOWNHOME IN THE HEART OF COOPER CITY NESTLED IN FLAMINGO GARDENS. HOME FEATURES UPDATED KITCHEN, APPLIANCES AND COUNTER TOPS, TILE ON FIRST FLOOR AND PERGO ON SECOND LEVEL. ENJOY COVERED SCREEN ROOM, ACCORDION HURRICANE SHUTTERS, ONE CAR GARAGE. LOW HOA FEE AT $125 PER MONTH. COOPER CITY SCHOOLS, CLOSE TO SHOPPING, PUBLIX & RESTAURANTS AT THE NEWLY REMODELED COUNTRYSIDE SHOPS.